This West Springs beauty only lasted on the market for but a few hours. 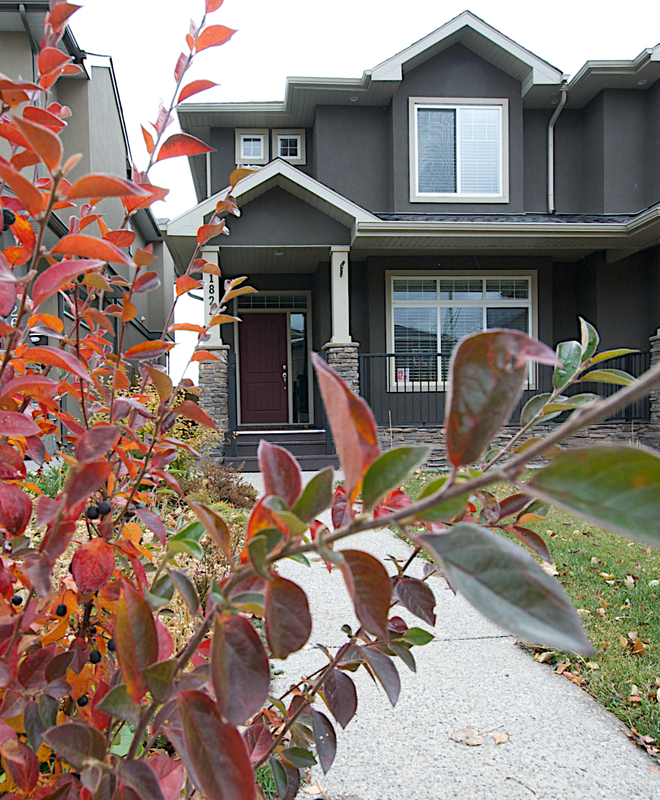 Truly a gorgeous home located on a quiet street with a SW backyard. Imported granite, gleaming hardwood floors, updated tile work and refinished cabintry are just some of the high lights of this beautiful well maintained home. Rare opportunity exists for new buyers on this Renovated home - located on a quiet street steps from school and across from a park. The upper level features refinished hardwood floors, slate tile flooring in kitchen and bath and 3 bedrooms. Living room fireplace with stone surround. Drop down screen with projector is hidden and can turn your living room into a theater in seconds. The kitchen has been opened up to dining room and living room and features all new cupboards, modern glass backsplash stainless appliances and unique concrete counters. The basement is suited with 2 bedrooms, bath, open concept kitchen to living room and shared laundry. Basement rents out for $1200 per month and would like to stay. 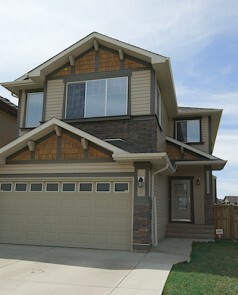 The exterior has been updated and newer triple pane windows added - the garage completes this package. All within minutes to the downtown core. *Please note the suite is not legal. Fantastic home in popular Tuscany! Over 2300 sq ft above grade with warm, neutral finishing throughout. Main floor living room features a gorgeous feature wall with a tile surround gas fireplace, separating it from the kitchen & dining rooms. The kitchen boasts a large centre island w/built in wine rack & breakfast bar, a corner pantry , plus lots of cupboard & counter space. The main floor flex room is perfect for an office or play room. Upstairs is home to the huge bonus room, the master bedroom with 4 piece ensuite (separate oval soaker tub & shower), 2nd and 3rd bedrooms even share a jack-and-jill 4 piece bath! 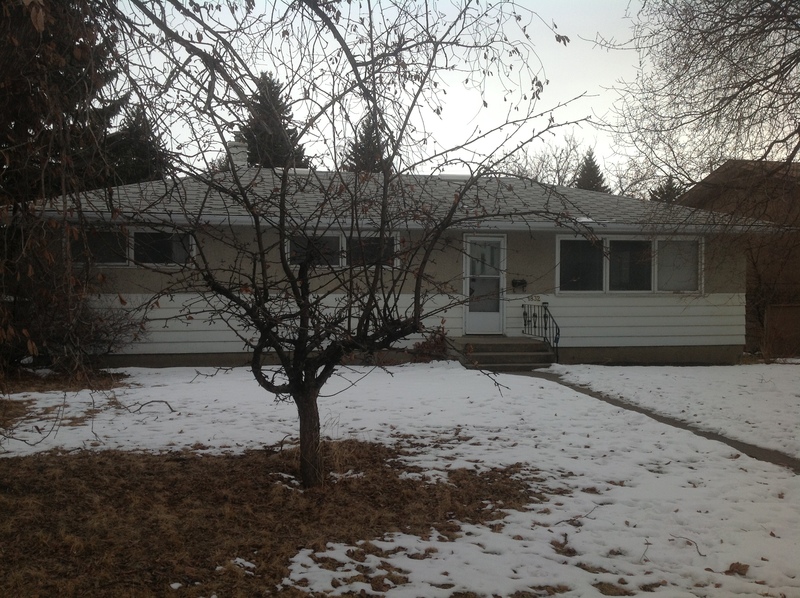 Lower level features two more bedrooms, a large family room and another 4 piece bath. Have your morning coffee on the raised back deck w/built in benches and take in the view of the beautiful green space. A great location close to the mountains, shoppings, schools and restaurants! HANDY MAN SPECIAL IN Glendle Mews! 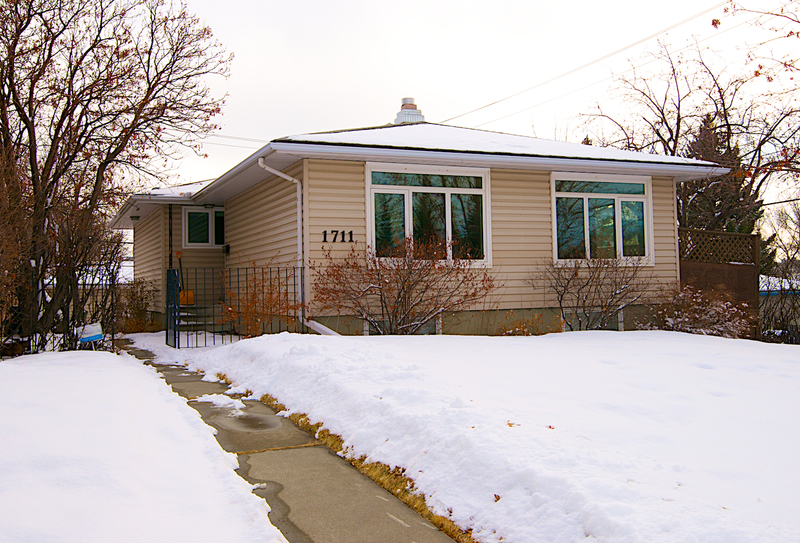 This 3 + 1 bedroom bungalow has over 1230 square feet above grade with a fully finished basement. Rooms are large, well laid out in the typical L-Shaped bungalow style. The three bedrooms up are good sized, the 4 piece upper bath is at a "roughed in" stage, ready to complete with your vision! 3 piece bath in basement is the only one in working order. The Lot is sizable at over 7070 square feet and features a double detached garage. Definitely needs work, but come take a look at the potential! 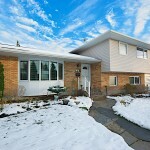 Beautiful & Affordable home located on a quiet street in Cedarbrae! Walk in and experience immediately the upgrades & warm colour palette throughout this fully finished home with over 2000 sq ft of developed space. The living room has a beautiful brick feature wall with a wood burning fireplace. Gorgeous TIGER WOOD hardwood flooring graces both the dining and living rooms, newer carpet, retro lino & tile throughout the rest of the home. 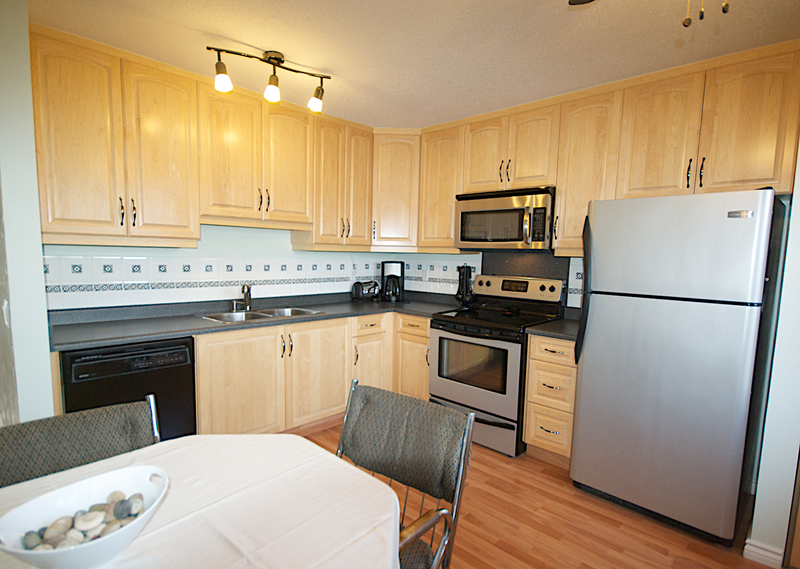 Large kitchen has a stainless steel appliance package and tons of cupboard and counter space! Three good sized bedrooms up, master complete with a 3 piece ensuite. Lower level features a great family room, complete with a second brick feature wall with the 2nd fireplace, plus the huge 4th bedroom and another 4 piece bath. A huge back deck graces the fully fenced rear yard. It is totally evident that this home has been meticulously maintained and cared for, inside and out! 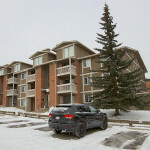 Nicely maintained and affordable this updated 2 bedroom condo is located close to shopping, transit and a short commute downtown. Open plan and bright with its south exposure - this condo will be a hit. Open floor plan with good sized nook, large storage area. 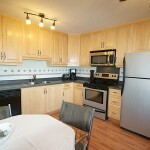 Both bedrooms are decent in size and in suite laundry - nicely updated and decorated in soft neutrals. Luxurious living with 2495 Sq. Ft. in this custom-built 2 story home in Royal Oak Estates. Main floor boasts a gourmet kitchen, walk-in pantry, over-size nook, formal dining room, den, family room with built-in entertainment center & gas fireplace, plus the living room with soaring cathedral entrance to second level. Custom features include granite counters, maple hardwood floors on main floor, painted ceiling borders, maple cabinetry, crown molding, soft line corners, and much more exquisite finishing & modern design. Upper level houses a wonderful master with 5-piece ensuite, walk-in closet, 2 generously scaled bedrooms and a 5 piece main bathroom. Lower level is home to a wet bar, a large recreational room, plus an extra bedroom and bath. 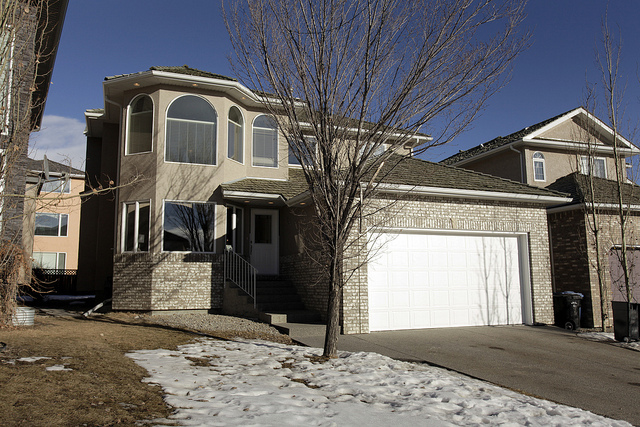 Beuatifully landscaped, garage is insulated and drywalled.Exquisite and well maintained home! 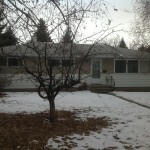 Great square footage on a large lot located in Renfrew. Main floor offers a traditional living room / dining room layout. The kitchen features tons of cupboard space, island with countertop stove & breakfast bar plus extra cupboard storage, and an ample dining nook area. Main floor bedroom could also function as a den or playroom. The grand staircase takes you to the upper level, which offers 3 large bedrooms including the master, featuring a vaulted ceiling & skylights, track lighting, walk in closet plus a huge ensuite with glass block accents, fireplace, separate shower and an oversized tub. Great Inner City Location!! MILLION $$ VIEW but affordable. Here is a rare opportunity to own an affordable condo with downtown and river views backing onto the path system. 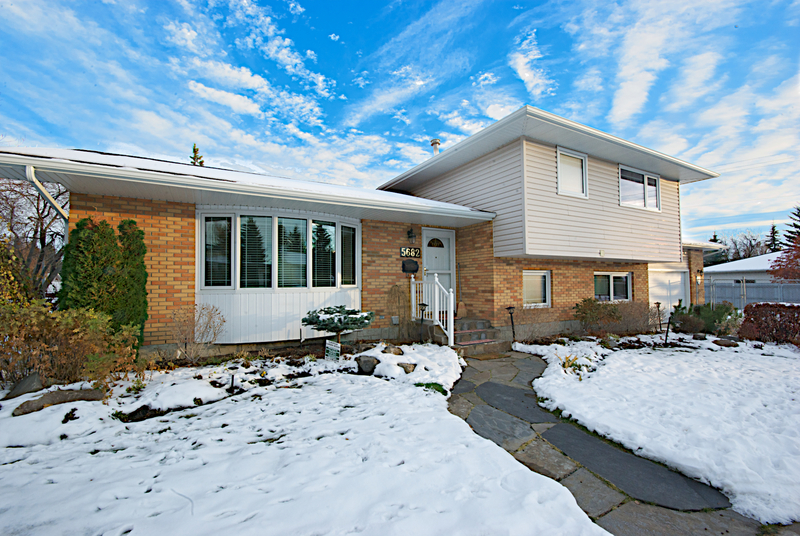 This home even has a large yard to call your own - not often found in a condo. 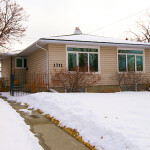 Lovingly and well cared for over the years and includes a new kitchen, cabinets and stainless appliance package, updated bathrooms, jetted tub, laminate flooring and new windows. 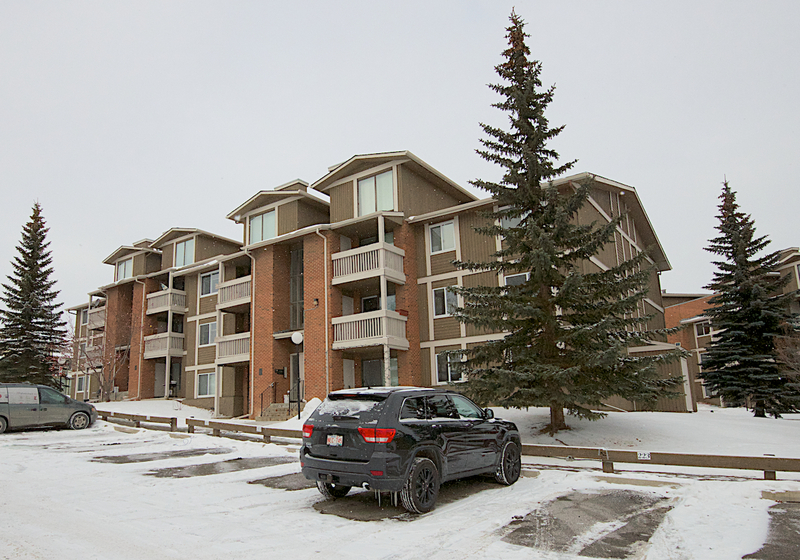 Easy access to transportation this is a perfect condo for a first time buyer. 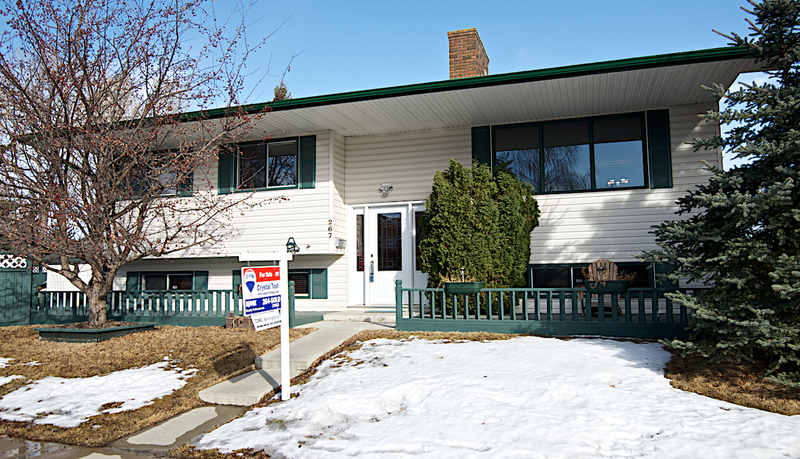 Fantastic home on an oversized corner lot in Dalhousie. 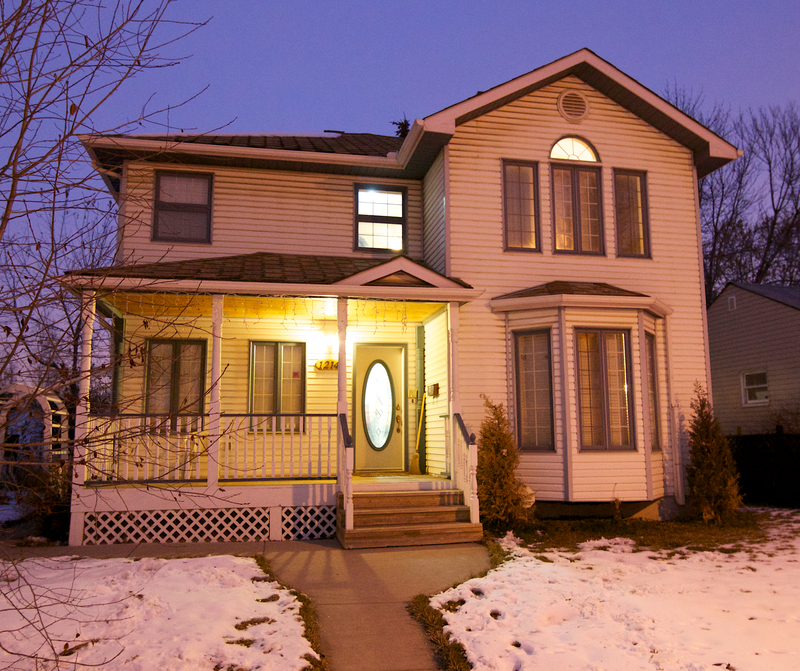 This 4 level split has a unique floor plan, upgraded interior and pride of ownership is totally evident. The Main Floor is home to the brand new kitchen with granite countertops, stainless appliances & beautiful marble floors, plus the dining & living rooms, and a large bay window to allow for an abundance of natural light. 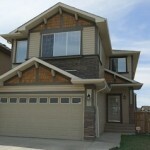 Upper level holds three bedrooms with new carpeting including the good sized master with 3 piece ensuite. Lower level has a family room with a brick surround wood burning fireplace & fourth bedroom, plus opens onto a gorgeous and bright sunroom. The basement is fully finished with a huge rec room. Double attached garage completes the package, plus the impeccably kept yard is fully fenced and professionally landscaped. Some other upgrades include new triple pane windows & sauna/steam room. Close to all amenities including the C-Train, shopping, many parks and schools plus much more.A spotless and well loved home. Custom home only close to the heart of Kensington.Over 1990 sqft above grade of living space + a fully finished basement.This home has an open concept living space w/tons of upgrades including hardwood flooring,extensive use of granite,double detached insulated/finished garage,bbq hookup & much more.The kitchen has custom maple cabinetry,gas cooktop w/stainless steel hood fan,built in wall oven & granite counters.Living room features a stone facing gas fireplace,w/roughed in wiring connected to in-ceiling speakers including upstairs in all rooms,all w/separate volume controls.Main floor powder room features a glass pedestal sink.The incredible curved maple staircase take you to the upper level providing 3 bedrooms & laundry.The master w/walk in closets has a fabulous 5 piece ensuite,complete w/granite/ceramic tile & separate bath/shower.The basement has a large family rm,4th bdrm & 4-piece bath.A prime location close to shopping,restaurants,schools,parks & river paths. Gorgeous and Clean 2 storey home in popular Douglasdale! Beautiful tiled entryway into home sets the tone for the designer colours, large plank hardwood floors and open design throughout. Large & bright country kitchen with tons of cupboard space and black appliances overlooks the large living room with mantled fireplace and more large windows. Huge Bonus Room upstairs, with large windows to allow for an abundance of natural sunlight. Master bedroom is good sized and features a four piece ensuite. Great yard, well manicured and completed fenced with a good sized deck in the back. 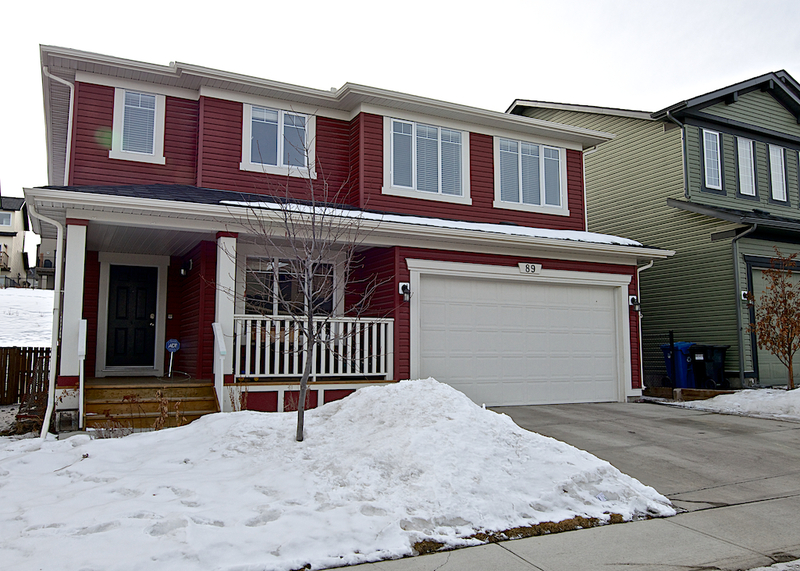 Doubled attached garage is heated and ready for our Calgary winter! 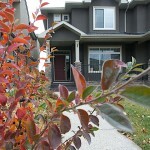 Close to all amenities including schools, shopping, and abundance of parks and playgrounds, plus close to the Bow Valley River. Not backing onto Deerfoot. 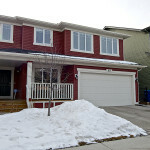 Gorgeous Cedarglen 2 storey in popular Auburn Bay.This 1994 sq foot home is full of estate features and upgrades.The kitchen is spacious with large centre island, corner pantry and upgraded maple cabinets, plus a bright dining room/breakfast nook. The living room features a mantled stone surround gas fireplace. 9 foot ceilings and beautiful maple hardwood floor throughout main floor and ceramic tile in laundry room and all bathrooms. Maple staircase railing leads upstairs to the large bonus room, three bedrooms and a four piece bath. The master retreat features a huge walk in closet and lovely 5 piece ensuite with maple cabinetry, double sinks, corner tub and separate shower. The basement has 3pc rough in plumbing ready for future development. Great curb appeal with stone accents, vinyl siding and 30 year asphalt shingles, fully landscaped and fenced. Located on a large corner lot across from green space and future elementary school.This gorgeous home has lake and community lodge privileges. 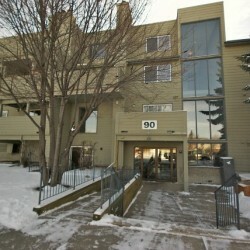 Fantastic 2 bedroom, 2 bath unit in a well-run complex with incredible city view and massive patio area. Open floor plan with lots of natural light and over 1240 square feet of living space!. Nice open kitchen with lots of counter space and breakfast bar overlooking the dining area and living room. Living room has a gas fireplace and french doors opening onto the huge patio/balcony. Good sized master bedroom with a walk in closet and a 3 piece ensuite. 5 piece main bath has a jetted tub. A few additional features include: 10 foot ceilings, in-floor heating, in-suite laundry, rounded corners and crown moldings. This complex is constructed of concrete for extra peace and quiet. 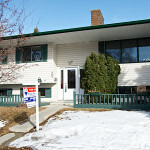 Close to all amenities including transit, golf, shopping, schools and much more! 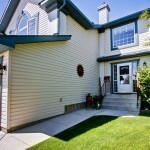 A terrific condo in a terrific community!! 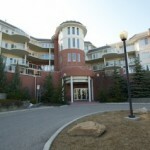 A very clean and well maintained 2 storey loft condo in desirable Glamorgan. Open floor plan with 16' high cathedral ceilings and large windows allow this unit to be kept bright with an abundance of natural light. New laminate throughout home. Main level features a stone faced fireplace and large doors to your patio. Huge master suite with a large walk-in closet and patio doors leading to your private balcony. Great loft/sitting area that overlooks the living room, would be perfect for a home office, additional sitting room or extra bedroom. 4 piece bathroom with double sinks newly updated with new vanity and paint. 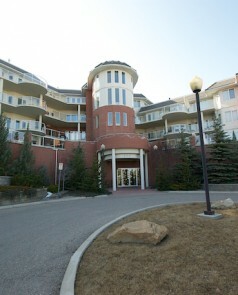 In suite laundry, lots of storage space, reasonable condo fees and over 900 sq ft in this condo are all sure to please. Gas, water and sewer included in condo fees. 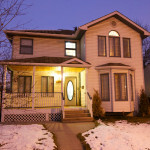 Close to Westhills Shopping Center, Co-op, Mount Royal University and city transit.